Human resource management and communication are two entities intersecting at one point. HR leaders communicate (almost) everyday with employees. Sometimes to respond to their queries, and sometimes to initiate a conversation to address an issue. Many a time, these direct HR communications are through emails. 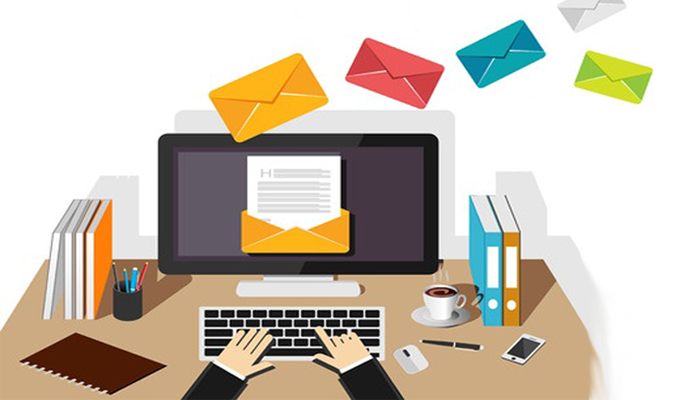 HR people write hundreds or thousands of emails each month to stay connected with everyone in the organization. How many hours are invested in writing emails each day? It could be more than 4 hours or 5 hours…. Oh! That’s really a big amount of time. Don’t you think so? For an extremely busy HR professional like you, let us make things simple and less time-consuming. Sometimes, writing a perfect email to resolve an employee’s problem or sharing important piece of information becomes a tedious and time-consuming task. In the interest of saving your time, here are some HR email templates addressing common employee issues. Please feel free to use these email templates whenever you come across any professional situations like these. Professionals working in a team with negative attitude give bad impression on other team members and it lowers down the team moral. The HR manager can handle such issues with a positive mindset. It is important to know what went wrong that made the person think negatively. Have a light discussion and talk over the matter to sort it. It has been a while since I noticed that something is bothering you. I wanted to know if everything is fine with you. Is there any problem that I can help you with? If yes, I would definitely like to talk about it. Please feel free to reach me anytime and speak your heart. I am always here to help you. Giving time flexibility to employees is a bonus for them. The HR managers undertake the responsibility to monitor shift timings and attendance of the employees. Every workplace has a simple rule of ‘following office timings rightly’. But if employees constantly defy this rule, then the line of punctuality should be drawn. While going through your previous attendance records, I found that you haven’t been on time to office in last few days. I understand that you might be facing some genuine problem. But at the same time, I can’t let you do this anymore as it would be unfair to your colleagues. I hope everything is going fine at your home. Please let me know if there is something you want to talk about. If you think an employee needs more training and development on the project he/ she is working, you should inform about it. This is a sensitive topic because employees might feel offensive and demotivate themselves on hearing something like this. Make sure to keep the tone of the email positive and light. How are you doing on your current project? I hope things are working in your favor. I have seen your work and I really appreciate your efforts & work approach. Though you are already doing a great job, I would like you to focus more on a few skills. We are organizing a training program next week. I am sending you all the details about it. If you find it helpful, please enroll yourself in the training program. It will surely make a big difference in your career development. Good luck! Got some ideas?? Dear HR managers, next time if you come across such problems, please feel free to use any of these HR email templates to connect with your employees. We hope the information provided here is helpful to you. We will be publishing few more HR email templates in the next week. Stay tuned! Want to be a good manager? Don’t let these challenges affect you!